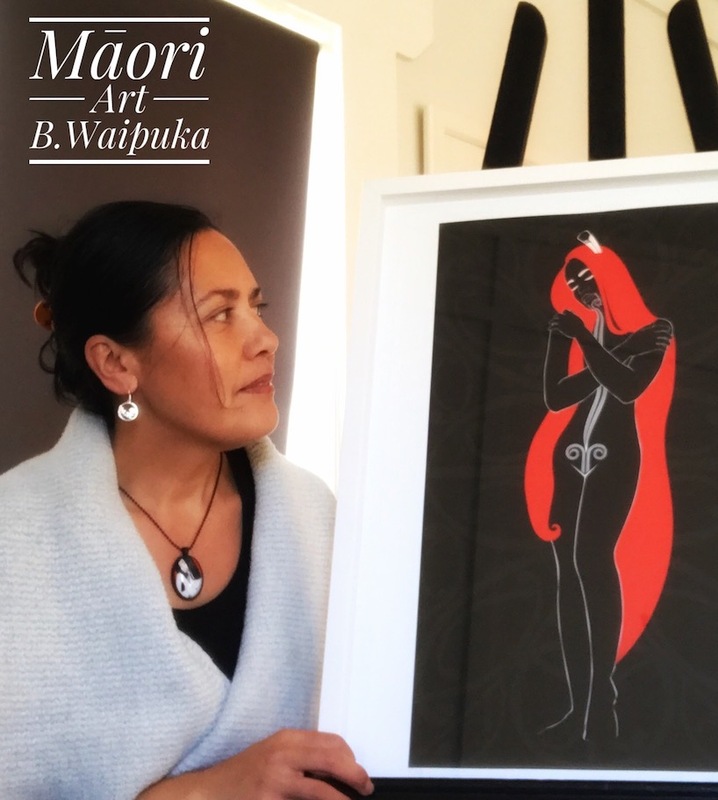 My name is Bronwyn Waipuka-Callander and I am a contemporary Maori artist living in Waipu, Northland. Creativity is a direct connection to the divine within us all, working with spirituality, manifesting and bringing to the surface qualities of our Wairua (Spirit) - our true selves. This is something I truly believe in. There are levels of creativity in every thing we do, including the career paths we choose … although the quality of creativity depends on our attitudes and intentions with regards to the activity we are focusing on at any given moment. I think the most emotionally impactful form of creativity however, is artistic expression. There are so many facets and channels - from music to poetry, visual arts to dance, which all have the ability to inspire and move so many people. Artistic expression is also a space that stimulates true healing because it alters brain chemistry increasing blood flow… this has been scientifically measured. My own artistic expression is essentially an outlet for my inner thoughts, deeper emotions, cultural beliefs, and my connection to Wairua. From the time I began my creative journey many years ago, I have seen my work gradually develop towards a more consciously aware outlook. This has probably accelerated during recent years, especially through the course of creating the NIU Maori Oracle Cards. I have come to know and feel, as a contemporary Māori artist, that my higher purpose is to positively influence others … expand and illuminate their minds, and to inspire a connection to Wairua. Because I believe when we connect to Spirit we are connecting to the one source, therefore building pathways to harmony and well-being. The challenge though, as a creative artist, is how do I balance sharing my message and making my work accessible to a broader audience, while at the same time living with the realities of life? Technology, materials, supplies, and running a business on my own, all costs money. I do everything from sales to accounts, web design and marketing, which all eats into my artistic time. It’s the least desirable part of what I do and sometimes it flows well, and other times not, but I have come to terms with the process and do my best with what I have. Not many people would know this, but most of my actual profits either go back into the business or go towards supporting individuals and organisations via donations of my work or time. I do like to give back to the community as I believe giving to others brings positivity which eventually filters outward.